One of the popular topics over Internet and making money online is Forex Trading which attracts many newcomers and nonprofessionals to have a taste of it without knowing much about the methods and strategies they end up in losing their money, so here I am going to give you a brief overview. 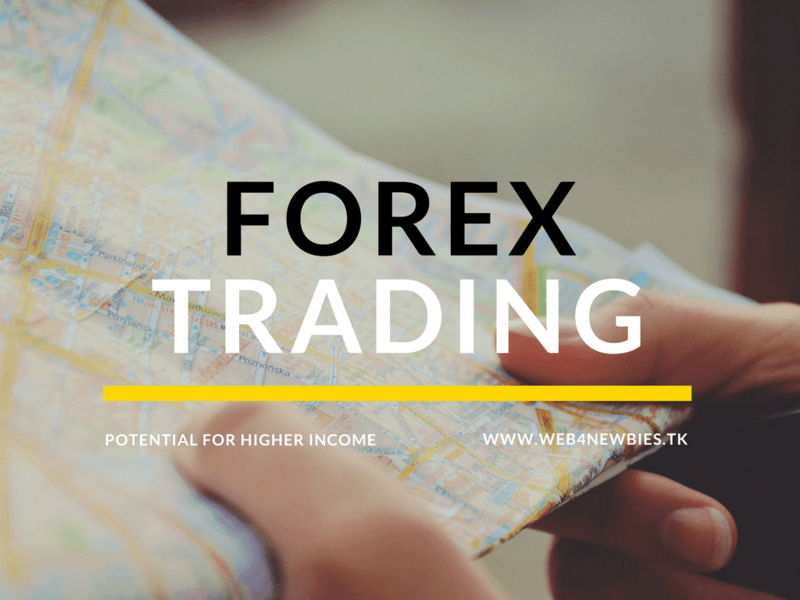 What is Forex Trading all about? After reading it you will at least take care while jumping into this field blindly. Forex trading is one of the quickest way to earn money and at the same time one of the fastest way to lose your hardly earned money if you rely on your gut feeling and emotions, without proper strategy and plan, market trends, and invest to see what happened next. That’s why some people say it as gambling. It’s very technical field which requires you to learn a lot about market trends, strategies, indicators and economy at large.It is risker than Stock Market trading so come to this field if you bear loss of your money. In Forex Trading you buy and sell foreign currencies, you have to choose a pair of currency of your choice e.g. EUR/USD. In this currency pair you can either buy or sell pair and you have do the opposite to close the transaction for example if you buy your EUR/USD pair at 1.05601 then you have to sell it higher price say 1.05701 to make a profit of 100 pips. (Pip is the smallest point movement after decimal let’s say if EURO/USD pair market moves from 1.05701 1.05702 it’s one pip movement) Now it’s depend on your leverage how much profit you will get on hundred point pips movement if your leverage is 1:1 then you will $1 profit. Similarly you can make $100 profit with the hundred pips movement but you should have that much money available in your account to trade. For Forex Trading you have to open you trading account with some Forex Broker there are thousands Forex broker online you can join one of them by looking their transaction charges, there trustworthiness and the software they are offering for Forex trading I personally recommend you to Join Xness which have very low Spread. Confused about Spread? Spread is the difference between buying and selling rate through which brokerage charge you. So having low spread can enable you to earn profit quickly. You can invest with this Broker through Perfect Money. You can do Forex Trading with only single dollar with some brokers but it is highly recommended that you can start with at least with $50 so you have caution available in case market moves high or low direction. At start you should try to work on minimum leverage that is 1:1. That’s mean with one point/pip movement you can on our lose one cent. Forex trading is not like this field that you’re working on your gut feeling, looking at short-term, curve movement, it’s basically a lifelong learning process you should have to work looking at market trends, or economy position of countries In which you are trading. Technical analysis and learning is most important in Forex Trading rather than emotional sale purchasing decisions. You should have backup amount to save you in case of market up and down movement if you trade with your gut feeling you will lose all your money.